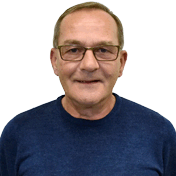 Hi I am Edgar, I am a fully qualified Government Approved Driving Instructor (ADI) and I am passionate about road safety. I am originally from Graz in Austria and I share my home town with Arnold Schwarzenegger. I have been living in Birmingham for 44 years now and started my working life with British Rail in various customer service roles for 18 years. After that I joined Cable Television as Customer Service Manager for the Cable Midlands Franchise in Brierley Hill and stayed with them for 11 years, finishing as National Resource Planning Manager at Telewest Broadband, now Virgin Media. I have two children, Ian and Matthew, both grown up now. Ian is a teacher and Matthew is an Actor. I live with my partner Sandra in Kings Heath. In 2004 I changed career and trained with LDC to become a driving instructor. I qualified the following year and have been teaching and coaching learner drivers to gain the life skill of competent and safe driving on our busy roads using the unique LD system of tuition. It enables learner drivers to prepare for all practical driving lessons using the Driving Skills workbook and DVD. My goal is for all my students to become safe and competent drivers making every driving lesson enjoyable. I have gained the advanced driving qualification with the IAM which helps to pass on safe driving techniques to my learners. I also do regular driving assessments for St Mary’s Hospice for their volunteer drivers. I chose to become a driving instructor with LDC because I know all LDC instructors offer the very best driving tuition available in the UK right now. We are the only driving school using a workbook & videos with a carefully planned lesson structure to help our students to gain safe driving skills quicker than with other schools.” The DVSA reports that the average number of driving lessons taken to get to the standard required for the driving test is around 50. Using the LD system my students achieve this goal closer to 30 hours, a potential saving of around £500.00.